This entry was posted in Comedy, Humor and tagged friendly, snow, warm, weather. Bookmark the permalink. We are supposed to get a foot of lake effect in Cleveland in the next two days. 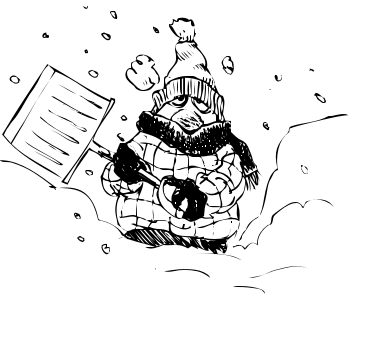 I’ll be dreaming of your warmth while I shovel my way out of it!